The Cave Nebula SH2-155. 15 hours of exposure HaLRGB. Taken by Lynn Hilborn, WhistleStop Obs,Grafton,Ontario. Imaged on August 01,20,21,22,2012. TEC 140 scope @f5.6 and FLI ML8300 camera with Baader filters on a Takahashi NJP Temma2 mount. 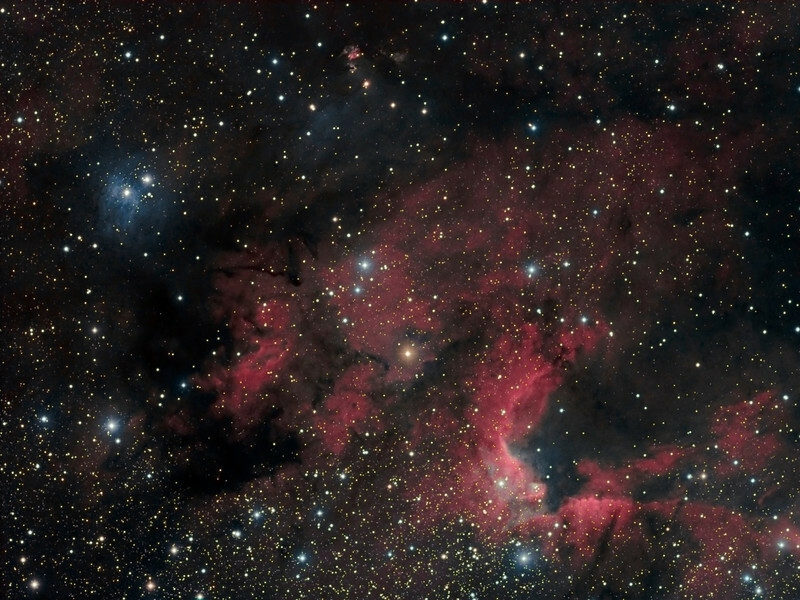 The Cave Nebula, Sh2-155 or Caldwell 9 is a very diffuse nebula within a larger nebula complex containing emission, reflection, and dark nebulosity. It is located in the constellation Cepheus.